As mentioned before, many people like to talk up the joys of driving a manual transmission classic car – more control, more usable power, blah blah blah. And in a fantasy world, that is a great belief to which to cling, but if real life criteria keep surfacing in your dream, maybe it’s time to accept those in the name of being able to practically continue your obsession, and possibly pull your best beloved in with you. It would be interesting to find out how many of the people who say they don’t like an automatic in their 2002 have actually tried one – based on a test drive and near purchase of this 2002, they may not be as fast and responsive as a manual car, but they still are quite drivable and responsive, and retain many of the other charms of the species like the vinyl and horsehair interior, big steering wheel, narrow pillars, and boxy exterior. The RustyButTrusty 2002 has served as child transport, so we know it can do that too. 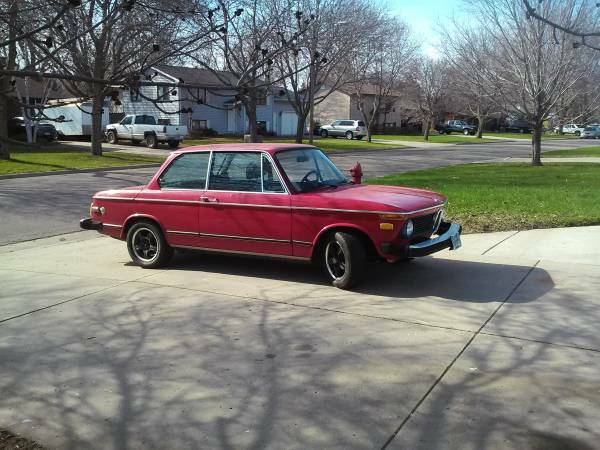 Check out this 1974 BMW 2002 for sale for $2900 just outside of Minneapolis, MN. So right now, you’re probably asking who would buy an automatic 2002 from a rust-belt state. Well, that’s a good question, especially when it’s based on only three photos in a listing. Fortunately, the pictures do capture some key areas. And looking closely at the above picture, while keeping in mind that red does do well at hiding rust, there’s no visible perforation as you’d expect on a car this age in this price range. The owner does call it a running project car, but it’s said to have very minor rust, so perhaps its origins are in a dry state. 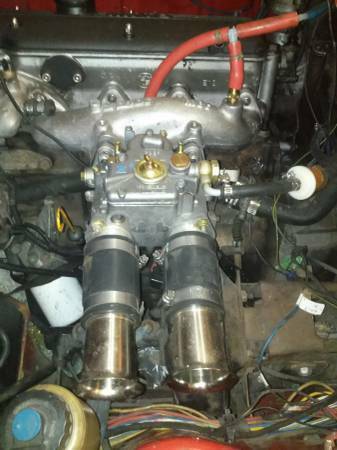 As you can see, the engine has been subjected to some performance upgrades, including a new sidedraft Weber and manifold, headers, and an electric fuel pump, the installation of which might need some refinement. While not much is visible of the engine, it does look clean enough and doesn’t show any corrosion of the various metals. Of course you’ll want to get a proper filter on there, but the sucking sound is probably glorious. 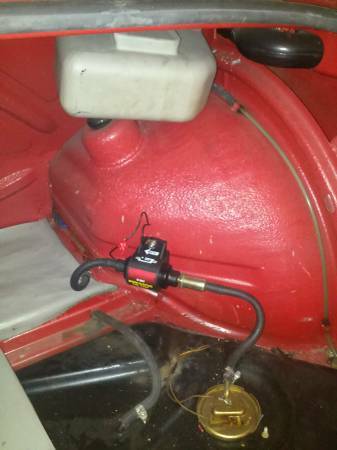 If this setup produces extra power, you’ll want to make sure the transmission is in good shape. Another reason for enthusiasts’ dislike of the automatic transmission is durability, but for a non-daily driver, those issues don’t apply as strongly. You’ll still want to tread with caution, but any occasional driver will last much longer between services. This trunk shot doesn’t show much except the electric fuel pump, which could stand to be better placed, and the passenger shock tower, which looks completely solid. Assuming the condition of the car does not vary from one side to the other, this could be a very compelling buy. Plan to replace door seals and service the ventilation system to avoid that 2002 exhaust smell, and you’ll be all set to get casual admirers lured into the hobby! This entry was posted on October 6, 2015 at 11:20 am and is filed under Feature. You can follow any responses to this entry through the RSS 2.0 feed. You can leave a response, or trackback from your own site.